Internet Try this. Go online. 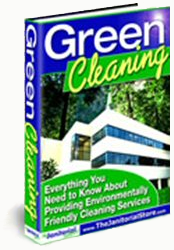 In the Google Search engine, type either Janitorial or Cleaning service followed by your town, state and zip code. Upon hitting your Enter key, a page will come up that displays a map of your area’s janitorial services. Click on the map. The map, now on a new page, will become larger and interactive, allowing you to move it around, zoom in and isolate your neighborhood should you choose. And here, in the following links, is the best way to get a listing in both the physical phonebook and online phonebook. Just be sure to steer away from any prompting to place a costly ad. All things considered, Google is the clear winner. More people use it than any other online search venue, plus it’s the easiest to use. 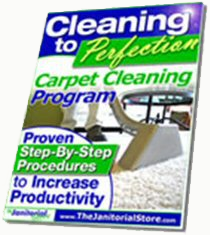 Be sure to give yourself a good description with relative keywords like janitorial and cleaning. This seems to give you a larger alphabetized tag instead of the smaller nondescript tag. But if you really want to take full advantage of this service, build yourself a website. Website I’ll admit that ten years ago, I would have given the importance of having a website presence only a passing mention, where if you had the software and were good at website development plus were able to find inexpensive internet hosting, there shouldn’t be anything stopping you from letting the world know (well, actually your community), that your company exists and is ready to serve. Since then, I’ve come to learn the importance of having a website presence and how it can generate not only bid requests for your janitorial business, but can eventually lead to sales of janitorial related products. 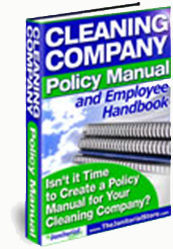 My company was able to get the job done with just two pages – the second page for the sale of products your customers can use like washroom paper, soap, liners and other necessary items satisfying office sanitation and cleanliness. For me, the home page is more than enough space to explain my company’s history, qualities and goals. 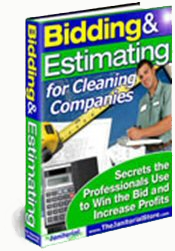 I draw the reader in further by providing a “Request Free Estimate” form. True, to build a website of this quality, you’ll need web-building software like Dreamweaver. Not cheap. I strongly recommend Site-Build-It which provides hosting, numerous templates and all the education to understand not only website development, but how to direct traffic to your site as well as making additional money through affiliate marketing. Before committing money though, check out my tutorial “How to build a Janitorial Website”. 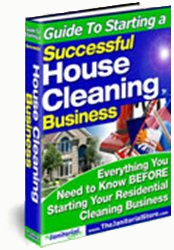 It teaches you the exciting world of making money online in addition to promoting your janitorial services. © 2008-2011 Make-Money-Cleaning-101 (TM). All Rights Reserved. Reproduction without permission prohibited.